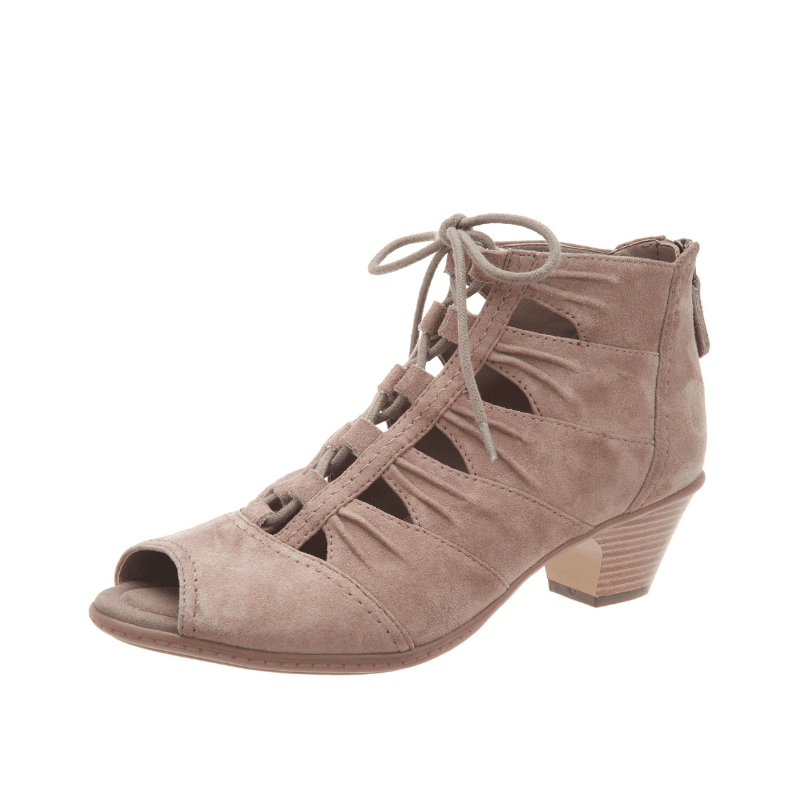 A great transitional shoe, these suede heels are crafted on a lower heel with outstanding cushioning and a flexible rubber outsole. Matching suede laces allow for a custom fit. Pair with just about anything for a stylish and extra-comfortable fit and feel! We just adore these leather sneakers. Cushioned for all day comfort and accented with silver grommets, these feature a collapsable back and the shoes can be worn either way. Available in black and white with a silver heel. Hitch your wagon to a star! 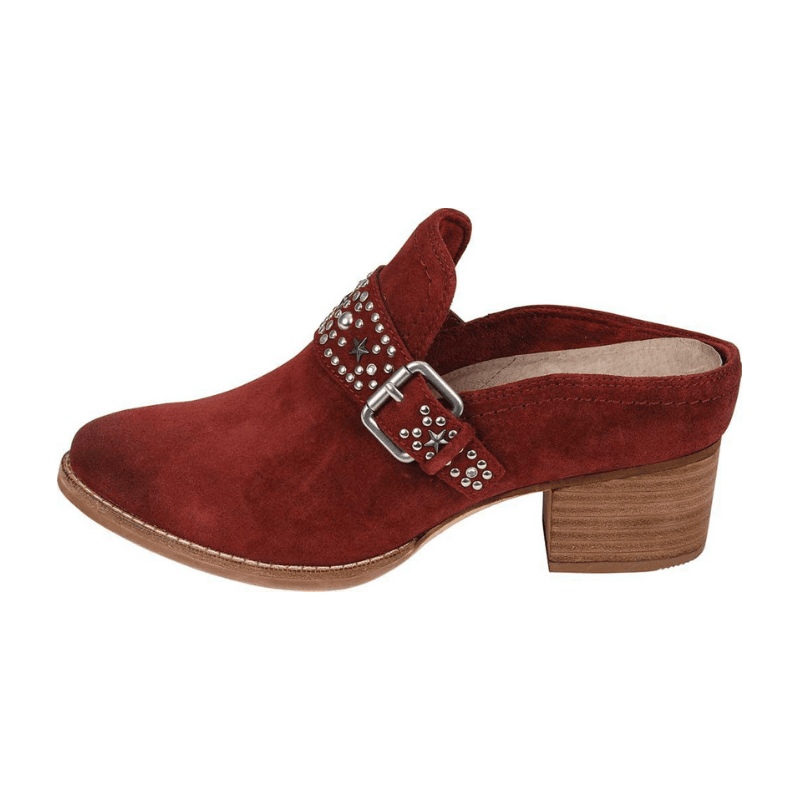 These suede mules are crafted with extra comfortable cushioning, a stacked heel, and western-inspired metal stud detailing. 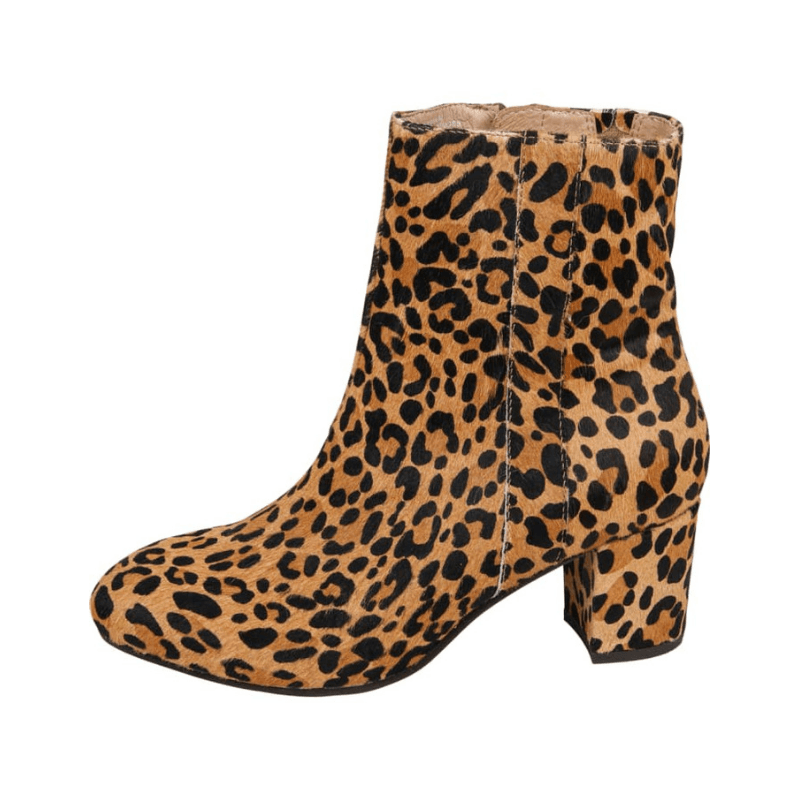 Available in black and garnet suede, these look great with boot cut denim! Hit the pavement in these sneakers from Earth! 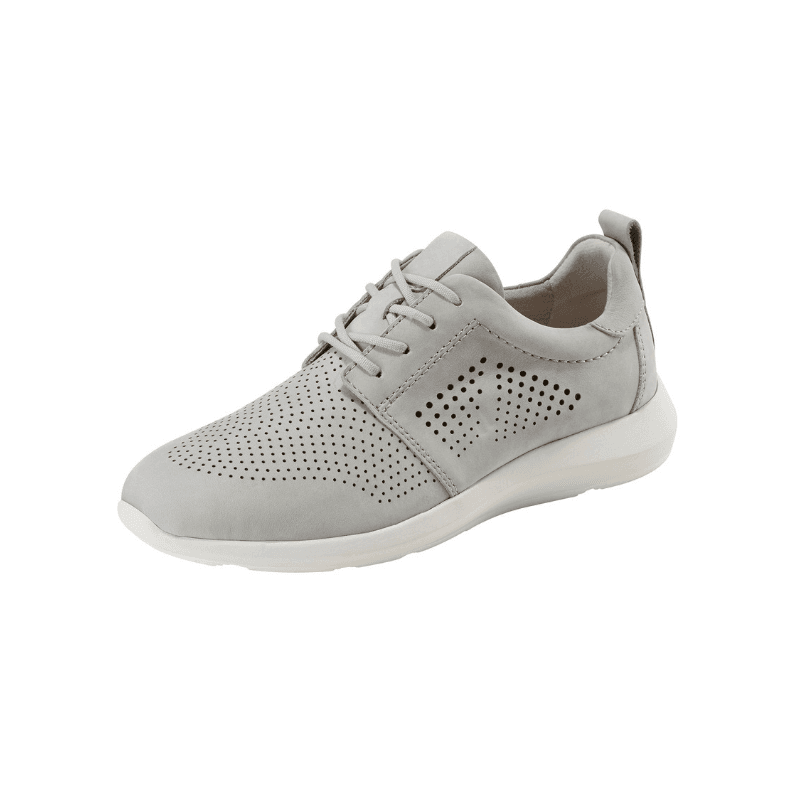 Crafted in nubuck and leather, these are cushioned with a flexible outsole to keep you moving. A fantastic choice for walking and travel. We're big fans of this dressy summer sandal. Crafted with a soft nubuck upper and lined in leather, these feature a velcro ankle strap, low stacked heel, and a very cushioned and supportive footbed. Pair with just about everything in your wardrobe for a put-together look you can wear all day. Super cute, super comfy, just plain super! 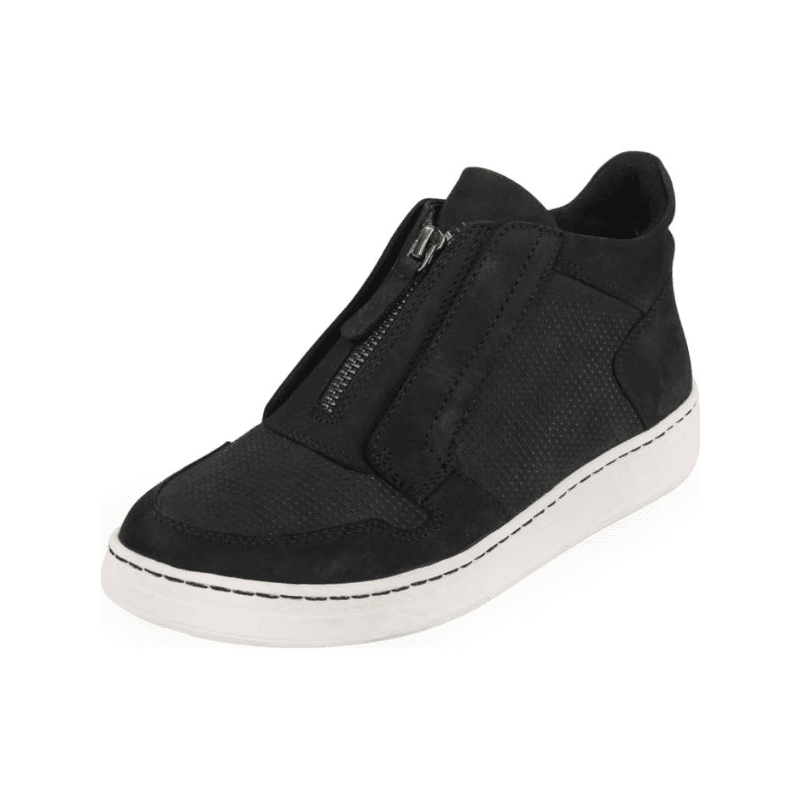 These laser cut perf sneakers are crafted with an elasticized lace and are designed to slip on the feet. 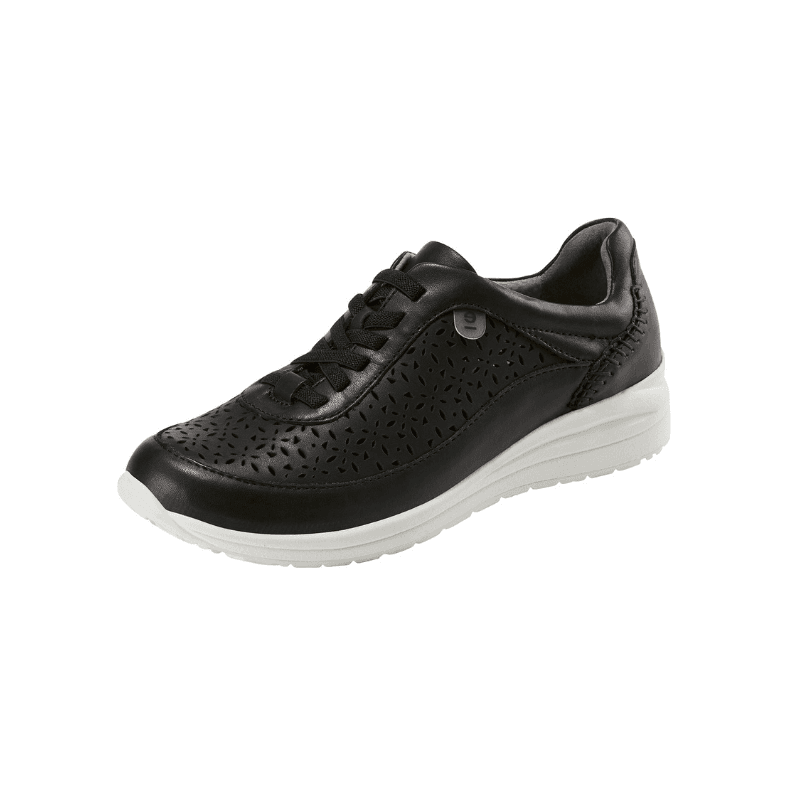 A flexible white outsole provides additional shock absorbing properties, making these a great choice for walking. Available in black and gold. Perfect for the younger gal who hates to be uncomfortable, these sneakers are available in two neutrals this season. Paired with denim, these high tops provide an urban chic aesthetic and feature a zipper instead of lace for quick and easy on/off. An excellent choice for the city! The perfect summer wedge! 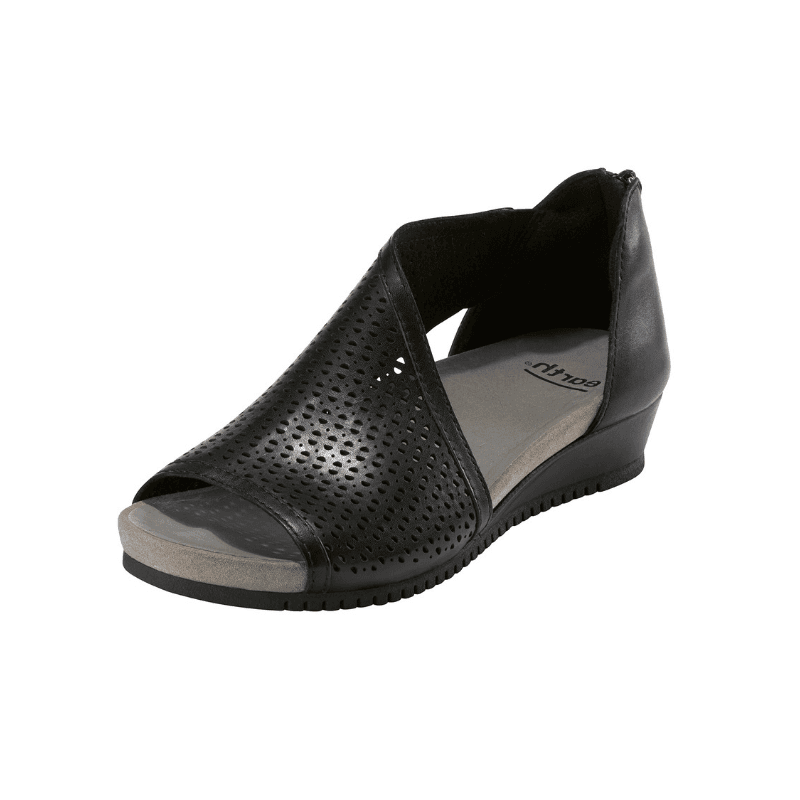 Available in black and a cinnamon nubuck, these asymmetrical sandals are so cushioned and feature rear zippers for easy on/off, along with a stylish laser cut upper.